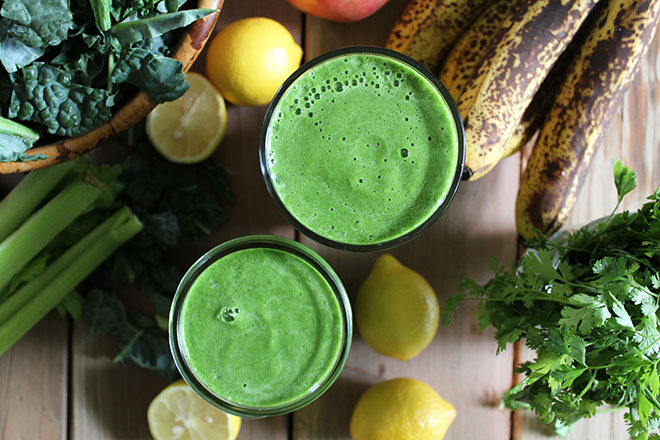 McKel’s signature “Green Stripped Smoothie” was the first recipe we tried and we’ve been hooked with “Nutrition Stripped” since. (We’re suckers for all things leafy and green – veggies like kale, romaine, and celery are packed with vitamins and nutrients in addition to boasting high water content). What makes this particular smoothie especially great, however, is the blend of other ingredients featured. There’s turmeric (a powerhouse of antioxidants and anti-inflammatory compounds); parsley (another rich source of antioxidant nutrients); cayenne (to fight inflammation – which experts believe to be a cause of breakouts and wrinkling! ); and much more. We told you we were on a “Nutrition Stripped” kick. Did you hear? 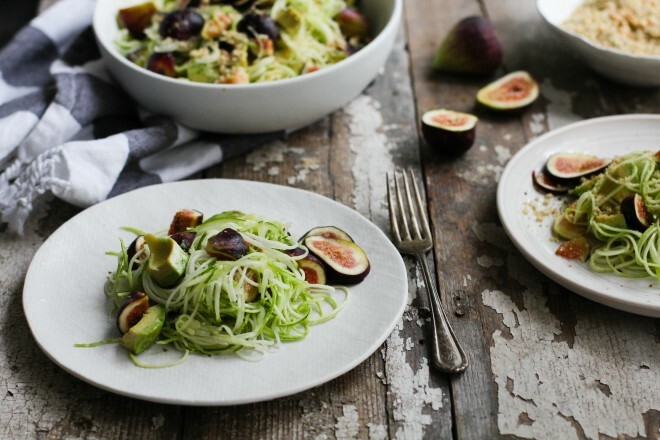 Zoodles (zucchini “noodles”) are the new pasta and a good spiralizer is everyone’s best friend. Here’s why we love zucchini, bodily health benefits aside: for starters, zucchini’s high water content hydrates the skin from the inside out, helping to flush out toxins while encouraging a more radiant complexion. Plus, it’s chock full of antioxidant Vitamins A and C – anti-aging powerhouses – as well as manganese, an amino acid essential to collagen formation. Also – keep the end pieces that often get discarded before they go into the spiralizer and save them to help soothe and de-puff eyes, just as you would with cucumber slices. If there’s one thing about us here at Mario, it’s that simplicity is king. We like our skincare that way – and our meals too. Why go complicated when you can get everything you need in the all-natural? This hearty meal is both delicious and easy to throw together – all you need is a little time to cook the grain, really – with just a handful of nutritionally dense, antioxidant-packed ingredients. 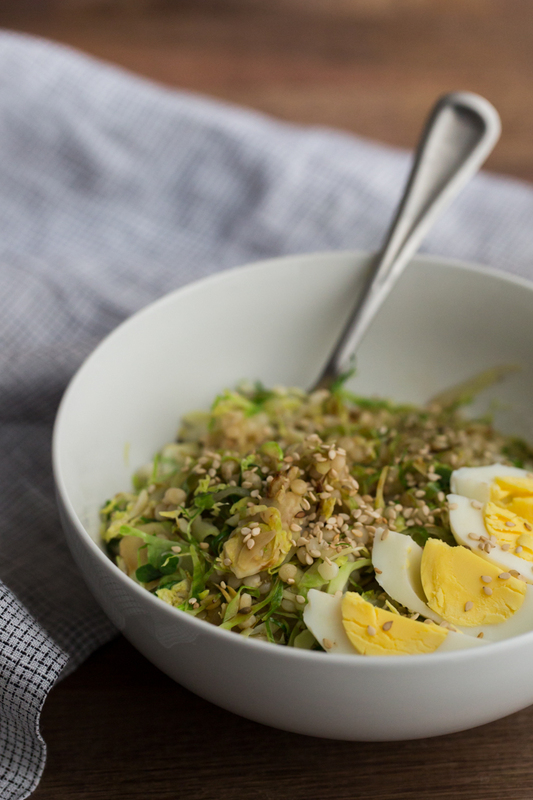 This bowl contains two of our favorite foods: brussels sprout and eggs. Sprouts are highly underrated; they’re actually pretty potent in folic acid (a B vitamin) and antioxidant Vitamin C. Eggs contain choline and lutein, two nutrients that are essential for healthy cell function. Choline helps the body maintain proper B vitamin levels to produce collagen and elastin, and lutein helps prevent aging and free radical damage.